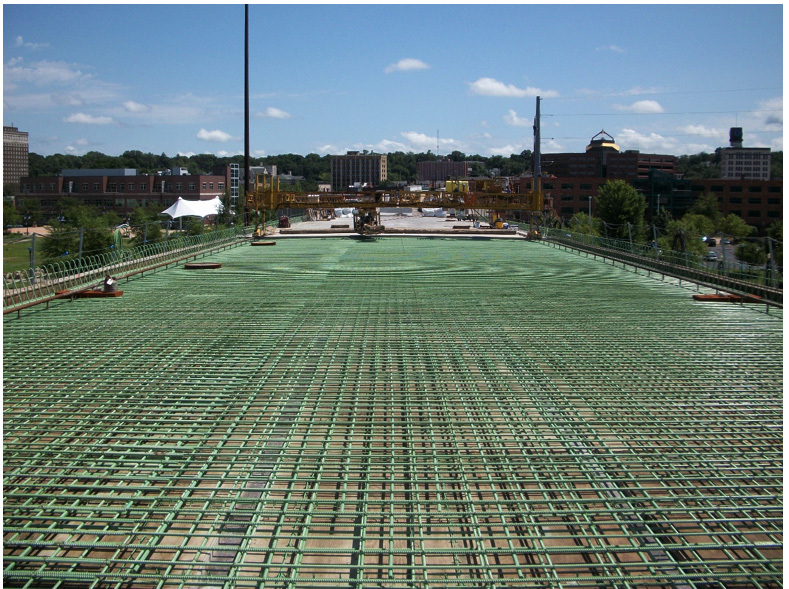 This project included the removal and replacement of approximately 1300 LF of reinforced concrete bridgedeck between Moline, IL and the Rock Island Arsenal. 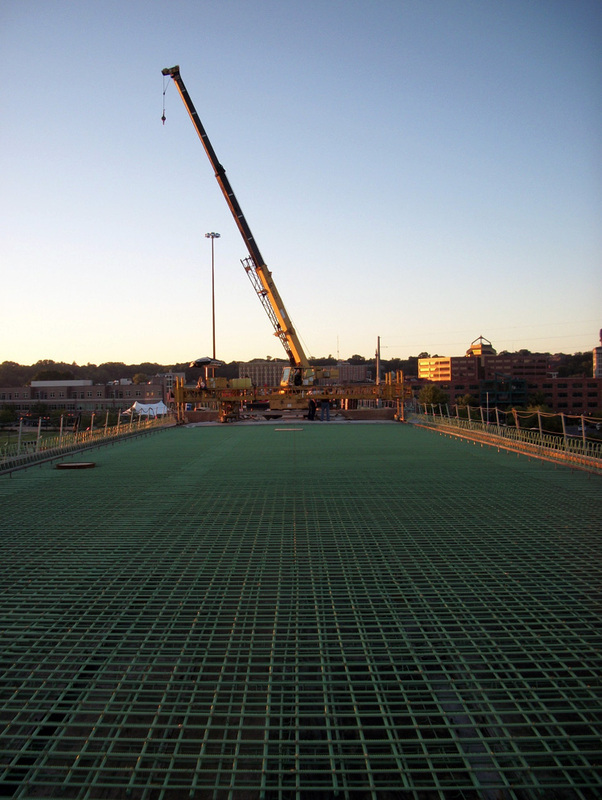 Approximately 800 LF of the bridgedeck replacement was completed above the Moline Pool of the Mississippi River. Vertical concrete patching and bearing replacements were also completed during this project. 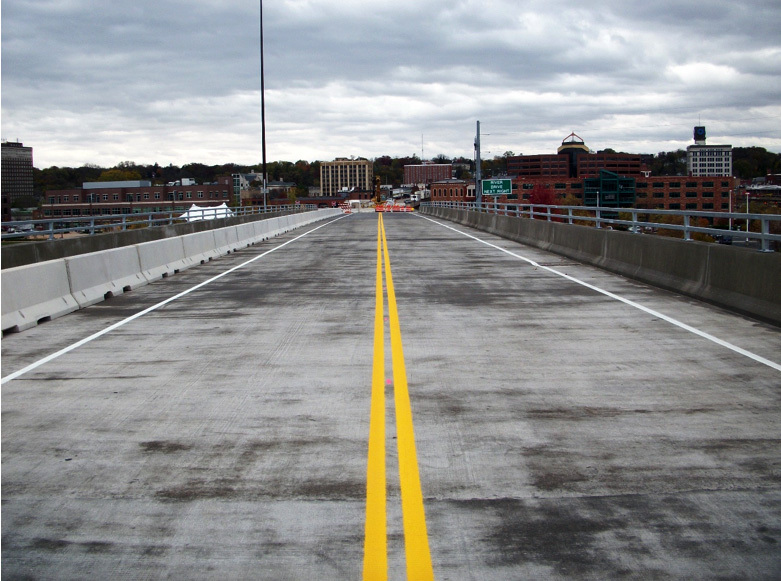 The detour route for the bridge closure was coordinated between three local municipalities and the Rock Island Arsenal. A temporary security office and parking facility was constructed as part of the detour route for the bridge closure.